The cruises market is booming with an international growth rate of over 50% over the past ten years hitting 25.8 million cruise passengers in 2017. But South America only got a 3% piece of the cake and Peru’s slice was with a little over 0.2% tiny. One of the reasons for that is the missing or unattractive infrastructure. Last year a total of 82 cruise ships from cruise lines such as Princess Cruise Line, Royal Caribbean Cruise Line, Holand America Line, Compagnie Du Ponant, Afran Line, V. Ships Leisure and Restige Cruise Services with less than 60,000 cruise passengers docked at Peruvian ports. About half of these passenger came ashore at Lima’s cruise terminal in Callao; not the best, safest, most attractive and convenient place for international tourists. Now, to attract more cruise liners and tourists the Peruvian National Port Authority (APN) announced plans to build a cruise terminal in Lima’s district Miraflores which already today is without a doubt the most popular place for tourists, visitors, foreign expats and locals (who can afford it) to find accommodation, go shopping, have a good meal in one of the countless restaurants, relax in a nice café, party in one of the many bars, clubs and discotheques, savor the cultural life or just enjoy the Malecon overlooking the Pacific Ocean and the many green areas. Additionally, Miraflores is safe, walkable and has a good transport connectivity making it easy to get to other parts of Lima and tourist attractions. Right now, the project to build a cruise terminal is in its initial stages; all the paper work is expected to be finished by 2019. 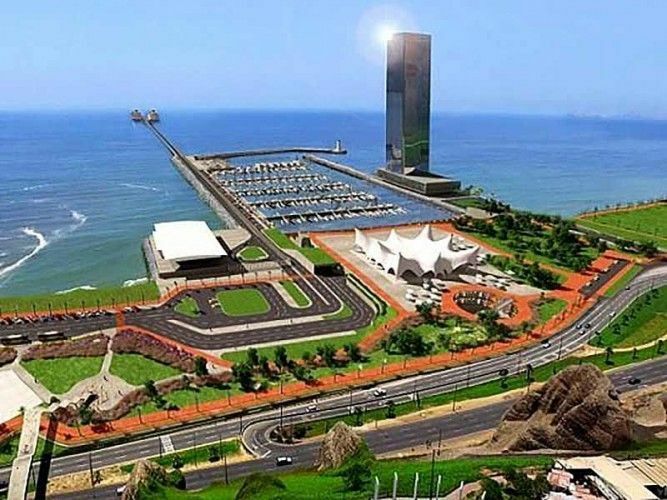 And after an investment of an estimated US$ 43.8 million the new port for cruise ships in Miraflores with an access bridge, two docks, an office building, boarding area and parking lot is supposed to welcome the first cruise ships in 2021.